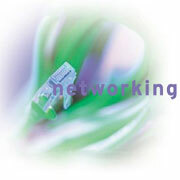 High Speed Networks with Multi CPU Routing (MCR): GVS has been specializing in high speed networks since 1997. Though our networking solutions are as unique and specialized as our clients and their needs, there is always one common thread - throughput. Digital graphics and 4K, 2K and HD production professionals, by the very nature of their work (file sizes), require the widest network bandwidth and highest integrity for optimum productivity. Recognizing this need GVS has dedicated significant R&D and engineering resources for the development of Ethernet, 10 Gigabit, and Fiber network solutions. Imagine GVS' network is like a freeway with no speed limit. There is no one else on the road but you. Your only limitation is the car you drive. Your system, like the car, sets limits on how fast you can communicate with the clients and coworkers or the data you need to access. GVS has virtually removed the limits by revolutionizing the way the network, router, and server work. Based on UltraSparc, PowerPC, AMD, Xeon, and Itanium2 Processors, Metropolis has the power and capability of supporting the bus speed of a wide area network - up to 3.2GB/sec. With a robust 64 bit server architecture with up to 10 PCI Express, PCIe and PCI slots - capable of accommodating 1000GB-T/10GB-T full duplex cards, FDDI, Fiber, and ATM simultaneously - Metropolis servers act as the most powerful MCR and switch in the industry, at only a fraction of the cost. Specifically, MCR (Multi CPU Routing) can allow users on your network a direct "pipeline" connection to the Metropolis server; without the necessity for a multitude of expensive hubs and routers. Users appear as network device(as an independent zone or grouped by department) just like output devices and storage volumes; and each pipeline can be easily reassigned or truncated, for greater throughput. With our network families, your whole work-force is accelerated--not just your primary one. And for new kinds of media like video, audio, and graphics files, Ultra servers with 4x10/ 100/1000BT of 10GBT really shine. For a new level in high-end graphics network performance, 4x10/100/1000 uses a dedicated, high-performance floating-point for enhanced network connectivity, enabling complex graphics, visualization, animation, and much more--delivering the performance and functionality previously found only on very expensive network servers over 4GB Fibre SAN interface. Just as important, 4x10/100/1000 is binary compatible with 10GBT through PCI-e bus. The result: everything you imagined a network could be-- imaging, post production, and uncompress data--can now be integrated in one system, and applications can move with complete integrity from one system to another, without having the network bottle neck. Support for Ethernet 10/100BT, 1000BT, and 10 Gigabit ). GVS can utilize existing Cat 6 network structures and cables for enhanced Ethernet throughput or upgrade you to Gigabit for blazing network connectivity; for your most high demanding large scale HD and SD production requirements, 2 or 4GB Fibre channel is dedicated to individual, group or Fibre switch from 4 port to 144 port to share volumes and folders in a common work flow. What about SAN (storage area network)?